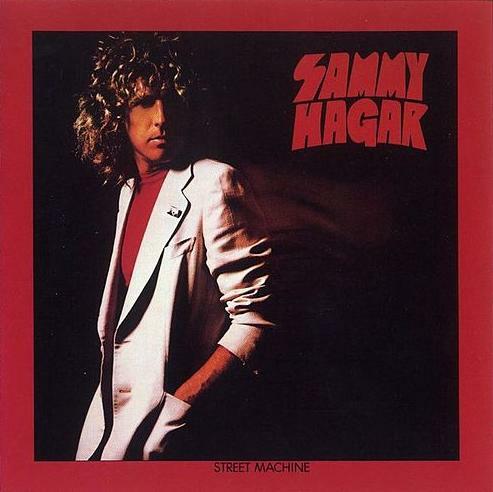 Street Machine is Sammy Hagar's fourth solo studio album. Saw Sammy when he toured on this album.It was the second time I'd sen him(not the last)but by far my favorite.It was Erlangind Germany in 1980,Girls school opened for them.A snow storm had hit the area and only about 600 could make. very cool! Yep, Trans-am Tour at Oakland Coliseum waiting outside in the pouring rain, got to second row and witnessed my top5 concerts of all-time. Ears are still ringing !!! I saw ya at the San Berdo auditorium on this tour you had Tom Johnston from the doobs open for ya It is a show I remember to this day!!! This was the album that turned me into a Red Head! I was 18 @ the time and here I'am 35 yrs later still rocking out with Sammy. Ya gotta love it. Keep it coming Sammy, your the best, Love Ya! This was the first Hagar album I bought...up till then my older brother bought and I borrowed....he hooked me on Montrose when their first album came out. Trans Am was my favorite. My first car was a 1971 Pontiac Formula Ram air II. Trans Am Highway Wonderland is a favorite of mine. Among the many others. But I have yet to hear it concert. Maybe next time. Has to be one of my all time Hagar favorites. A lot of people ussaly remeber the greatest his of an artist. But this album they were all hits in my opionon. Never Say Die, was one of the best songs off this album. It was truely a great song. So was Plane Jane, another great rock song that deserves to be in the books. Or how moderen technolgoy is going. To be world wide attention about it using any kind of connection. Over time, this has become classic. "This planets on fire" just builds your adrenelin up. One of his fastest, rockin' tunes ever. Child to man, still makes me stop dead in my tracks from whatever i'm doing, even after all the years! My favorite hagar album of all time. 1979 Oakland coliseum opening up with growing pains, i mean cmon this album rocks. Thanks JAÃƒÆ’Ã‚Â¢ÃƒÂ¢Ã¢â‚¬Å¾Ã‚Â¢Ãƒâ€šÃ‚Â¥. Loving this one!!! I was told by a reliable source to go get this album....or else. I just love vintage Hagar. Growing Pains, Feels like love, Trans Am (Highway Wonderland), Plain Jane, This planet's on fire and Strait to the top, just rock. Keep jammin', Sammy! This is my all time favorite sammy (sammy related) album. just a great baisc rock n roll sound!